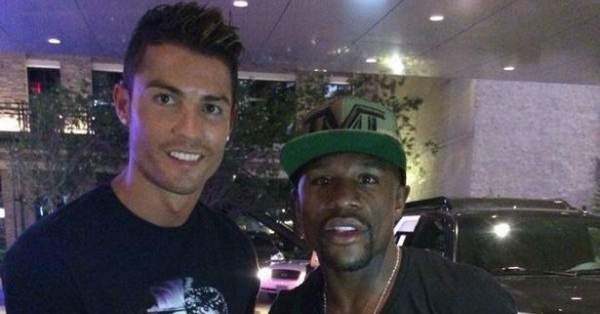 Did you know, Ronaldo met Floyd McGregor, winner of today's match? Did you know, Ronaldo met Floyd McGregor, winner of today’s match? Floyd Mayweather’s perfect record of his boxing career just got extended to 50 unbeaten fights as he Conor McGregor in the 10th round of one of the greatest matches in the history of boxing. The former five-weight world champion received several early punches from UFC’s most iconic fighter as the latter made his debut in professional boxing at the T-Mobile Arena of Las Vegas. 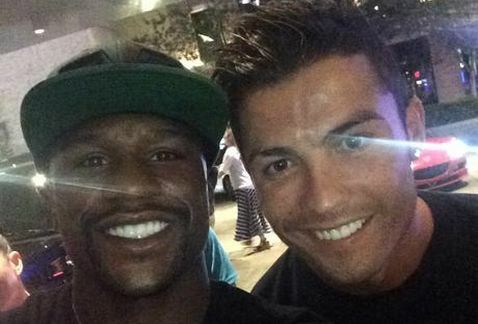 Did you know that Ronaldo, who is known to have great connections with McGregor, once met Floyd, and took photos with him? We will come to that later. Let’s take a quick look at today’s match first. Back in 2014, Ronaldo was in LA to prepare for a new season of club football, and during that time, he met up with the boxing champion. The two athletes, both highly respected people in their fields, while Floyd was preparing for a fight against Marcos Maidana at the MGM Grand Hotel in Las Vegas. In today’s match between McGregor and Mayweather, McGregor delivered a beautiful uppercut in the first round, though he came very close to breaking the rules with numerous punches to the back of his opponent’s head. However, it was admirable how he imposed himself without looking like he was going to knock out Mayweather. The American came out of his retirement for a whopping sum of $300 m i.e. £230m, and he executed a game plan that made him take over the lack of McGregor’s conditioning for the late rounds. And this turned out to be a key factor on big fight nights. 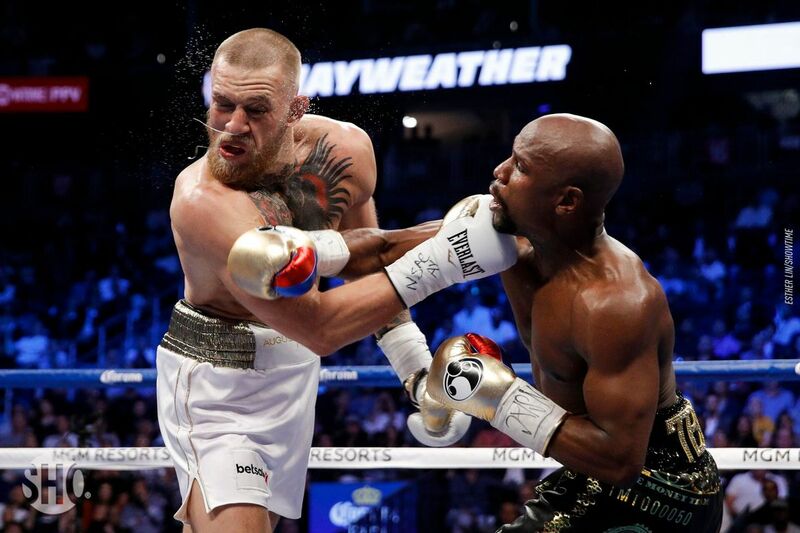 As the Irishman got more tired, Mayweather succeeded to amp up his ferocity and by the time they reached the ninth round, the 40-year-old had started stalking his opponent, and his legs had already begun weakening under more successful shots. However, the 29-year-old wilted and when the stoppage came he was down 89-81 89-82 87-83 on the ringside cards. Floyd McGregor has been the highest earning player by Forbes for a very long time, taking into consideration his incredible career so far. However, earlier last year, Cristiano Ronaldo overtook Floyd to acquire the top position on the list of Forbes’ highest earning sports stars. 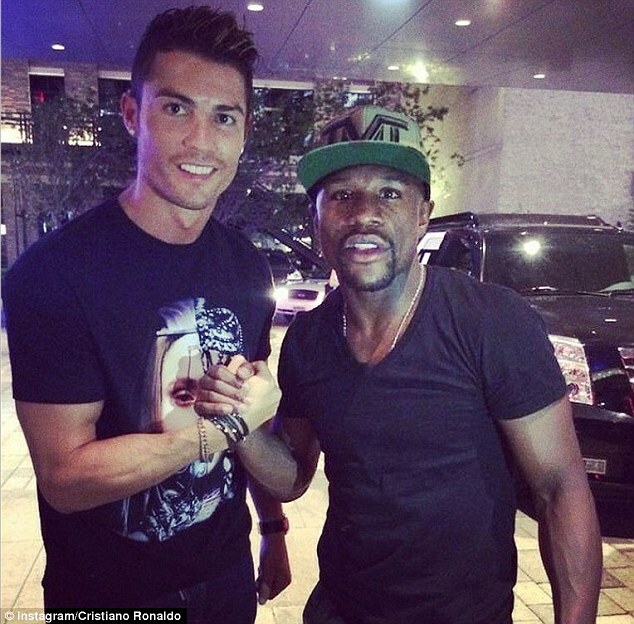 Before that, Ronaldo was seen taking a snap with the boxing champ back in 2014, when the soccer star got in touch with Mayweather before the start of his own season. However, Mayweather is not the only boxer of today’s fight to be associated with the living soccer legend. 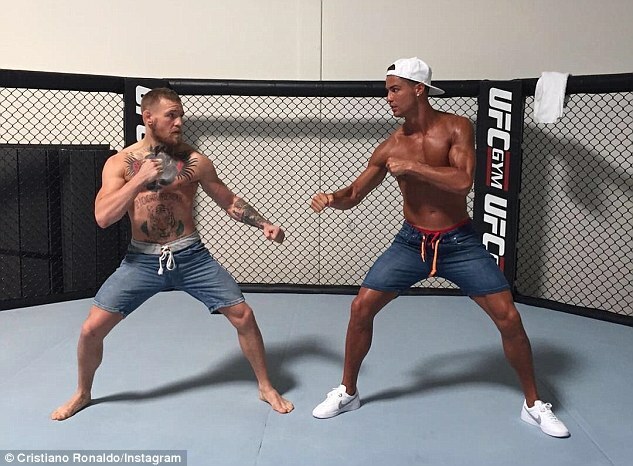 In 2016, Ronaldo joined McGregor in a training camp at Las Vegas, as the boxer was getting ready to make his return to the UFC 202. This was during the soccer player’s holiday right after the victory of his team, Real Madrid, at the Champions League, a title that Ronaldo’s team has managed to retain this year.